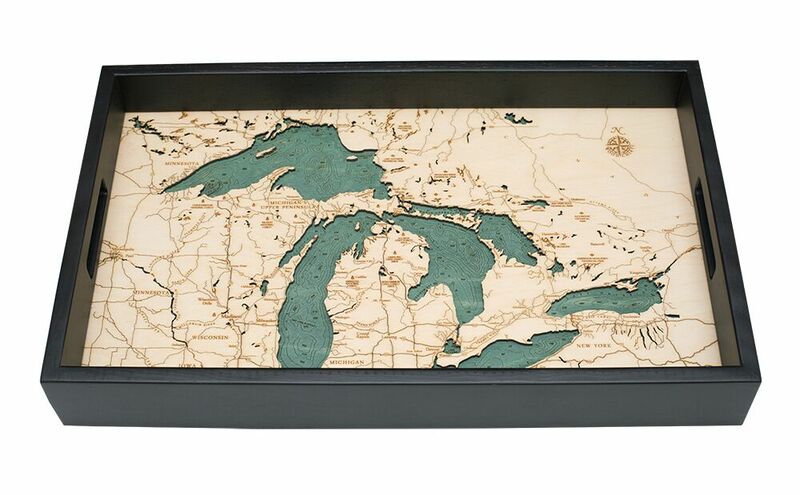 The Great Lakes serving tray takes your favorite woodchart map to your coffee table! 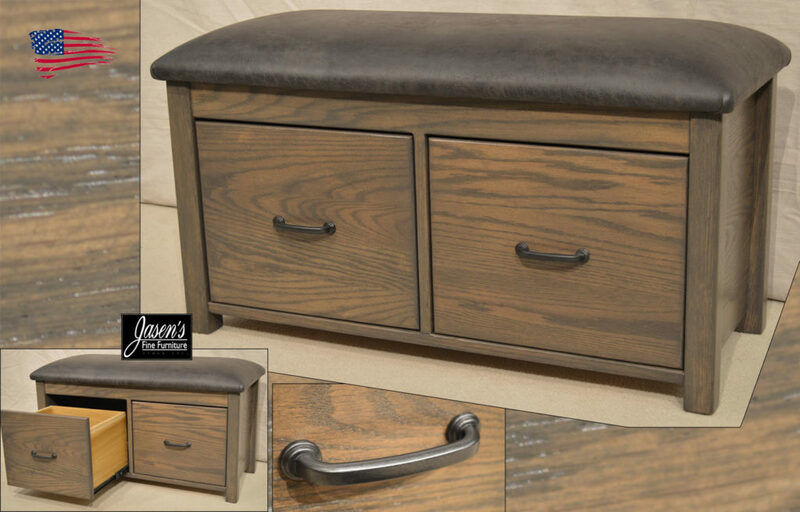 The Serving tray features all 5 of the Great lakes for an exciting way to carry drinks, snack, remotes, and more! 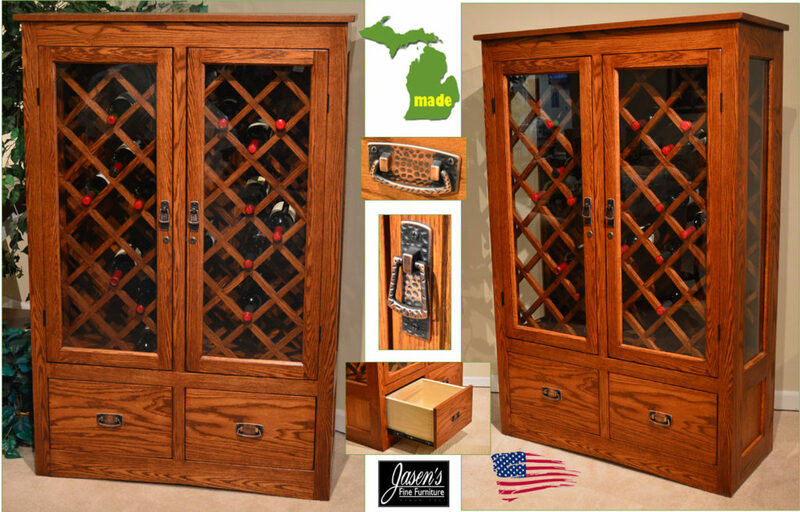 The Great Lakes Clock features a unique, yet timeless single depth wood chart! 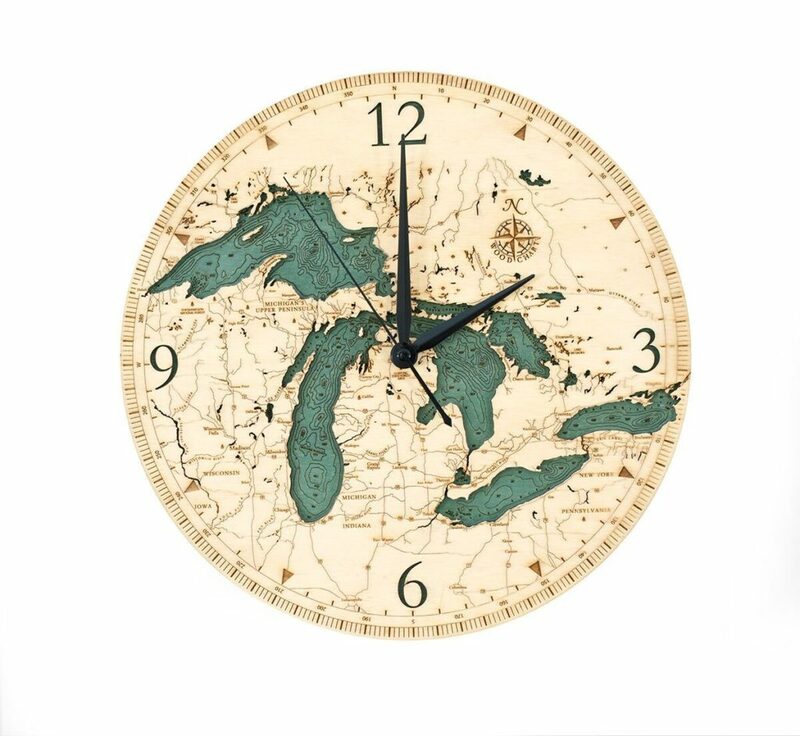 The Great Lakes clock stands on it’s own as a wall hanging. 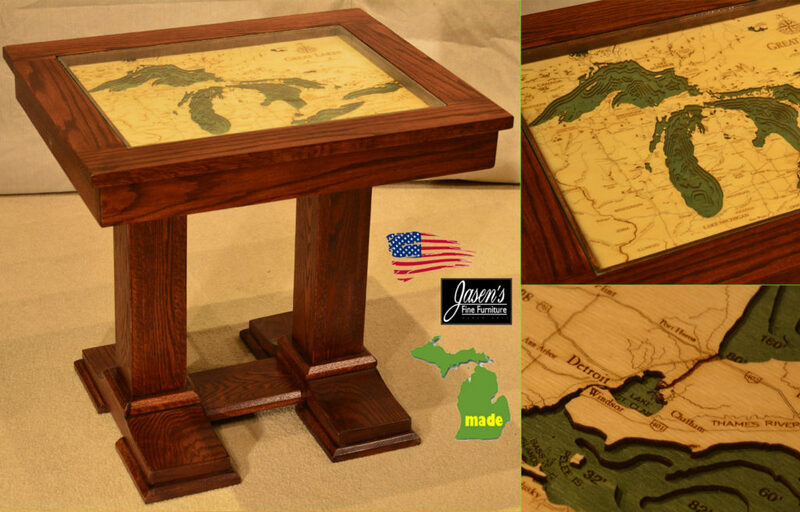 The clock shows almost complete details of the lakes depths and landmarks. 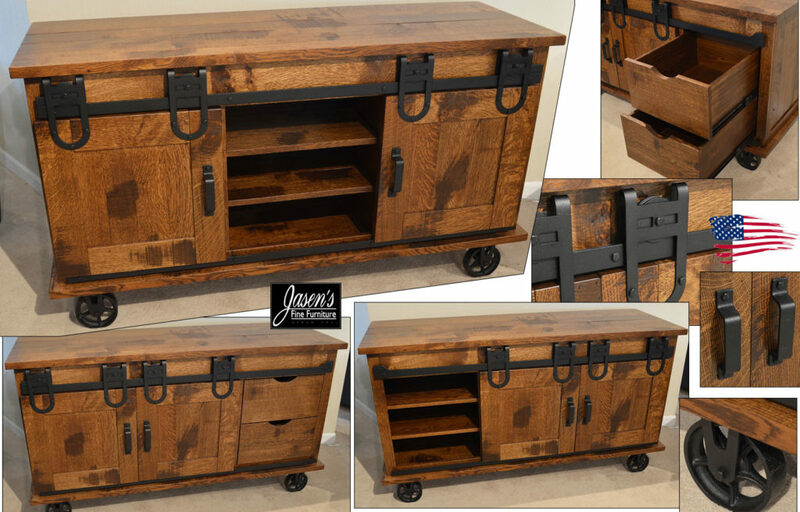 Don’t miss out on this piece for your home! 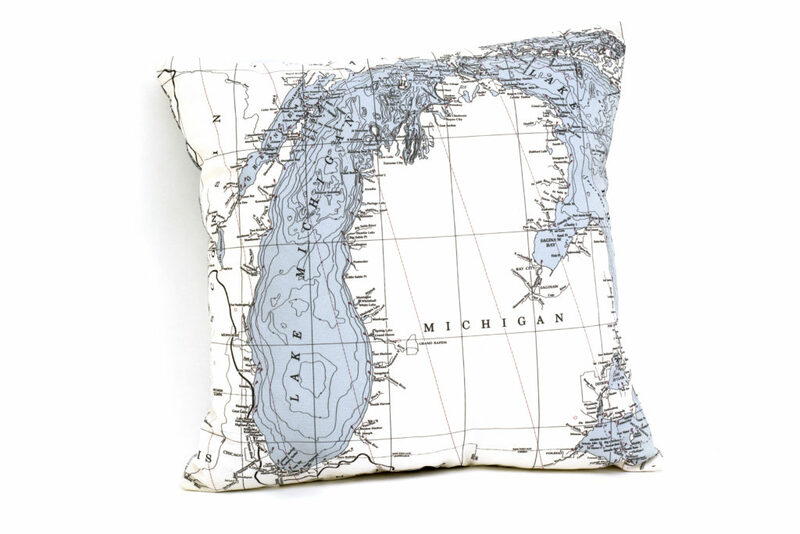 Great Lakes Pillow is a great iconic accent to any proud Michigander’s home. This pillow features our great state and it’s Lakes! The pillow is a great accent to any home or a perfect gift for anyone that has an affinity for Michigan. 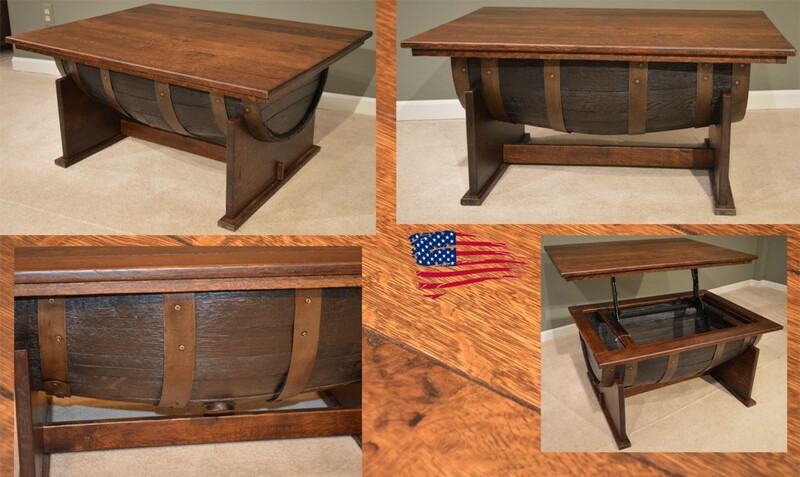 It is a great for boaters, but also anyone that enjoys our waters. 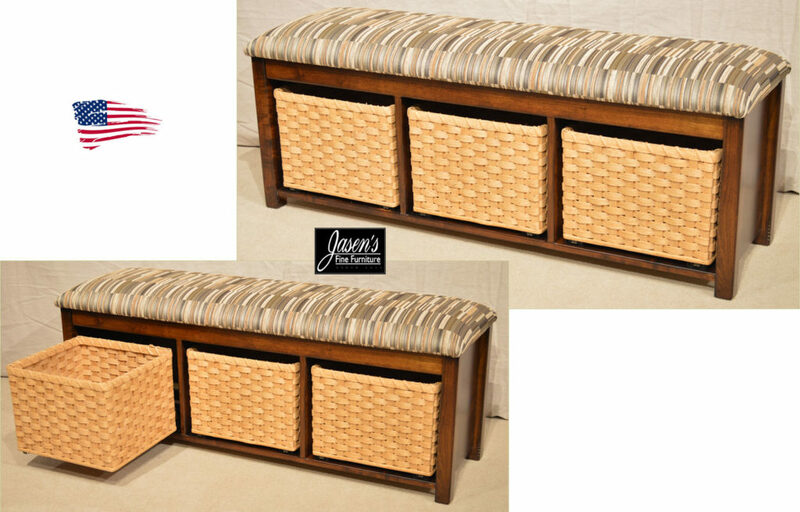 Made of 100% Polyester and indoor or outdoor friendly.